Very portable and quiet so you can polish your technique anyplace. 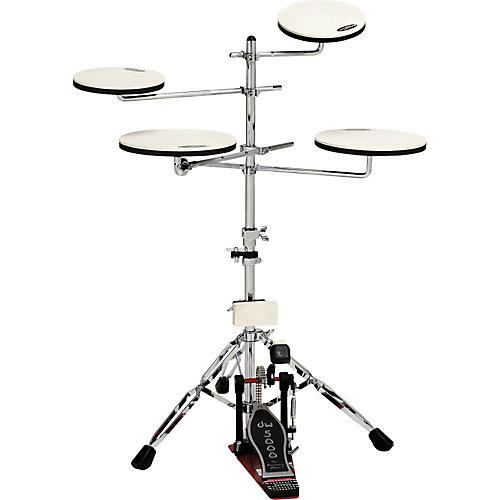 The DW complete Go Anywhere Practice Set includes two 8" drum pads for tom and cymbal, two 10" drum pads for snare and floor tom, one bass drum pad, stand, and all mounting hardware. Pedal sold separately.